Turritopsis nutricula - immortal jellyfish. Great article - ha ha ha! How do we suppose to learn about that jellyfish? 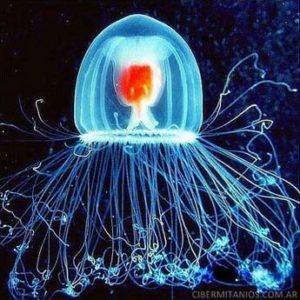 Ok, you can learn some jellyfish facts from the page.